PLEASE NOTE: I am the webmaster of FresnoFamily.com ONLY. I list local businesses but I am not in any way affiliated with any of them. I do not work for any of the kids’ sports teams, so I know nothing about what ages they allow or when they start or what they offer, other than what’s listed on my site…I don’t work for the City so I cannot reserve park space for your events or birthday parties…I don’t book characters for birthday parties either….you have to contact all those companies directly for those things. I just gather local info and put it up here for people to be able to easily find so YOU can contact them and find out more specifics on their programs. I don’t know the specifics on their programs and I cannot book things for you. YOU have to do that. And for those of you emailing me asking if I can homeschool your kids: homeschooling is nearly always done by the child’s parents, almost never by someone else. 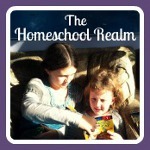 Homeschooling is a lifestyle, not something you send your child to. I’m sorry for the tone of this, but you would not BELIEVE how many emails I get weekly, yes WEEKLY asking me these questions. 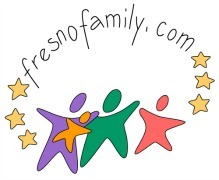 If, however, you have a question that is about FresnoFamily or a question for me, the webmama, personally….please, feel free to email me using the email listed below and I am happy to answer any questions that I can. I truly love to help. I especially WELCOME feedback on broken links, outdated info, and information that you’d like added to this website that is not here yet! One webmama can only keep up with so much, and I appreciate all the help I can get with keeping the info on this website up to date! So THANK YOU IN ADVANCE if you are helping me with this! I’m hoping to help the Waldorf cause. Let me know if you have anything going on right now or what you need to take it to the next step. Need update info. Or where can I get it. A lot of the latest update are of 2012. I’m doing a major website overhaul and all info has been updated in the overhaul. I’m hoping to have the new site up soon. I am trying to figure out which hospitals / birth centers in Fresno have midwives? Can you help? Sorry, my youngest is 13…I’m long out of that stage. Do you mean for a hospital birth? The only midwives I know of do homebirths and are listed on the homebirth page. I’ve asked around and I’m hearing that midwives are not given hospital privileges. If you want a midwife to birth your baby, you will have to have a homebirth. There are many doulas listed on the doula page to help with hospital births. And midwives can help with prenatal visits but not hospital births locally. Hello my name is Neet I’m starting my own company that provides diaper cakes for new mommies for a affordable price.